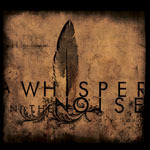 Influenced by artists ranging from Bob Dylan and Roger Waters to Philip Glass and Arvo Pärt, Minneapolis-based A WHISPER IN THE NOISE was formed in 2002 by West Thordson, who grew up on a large patch of farmland in the rural Minnesota town of Hanska (population 406). 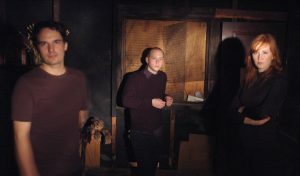 As an adult, Thordson moved into the abandoned elementary school he attended as a boy, where he composed in the music room in which he had played as a child, wandering the empty halls at night. This dark, dramatic sense of loneliness and solitude was channeled into the unique and darkened sound A Whisper In The Noise became known for. In ever-changing line up constellations and phases of full and half existence the band granted the world three albums which without a doubt can be ranged among the most unique and outstanding albums that have ever been released. Deeply inspired by a rural surrounding and the will and consciousness to listen to an inner voice and dig deep for honest emotions, no matter if they create pure bliss or pitch black scare A WHISPER IN THE NOISE still remain one of the most emotional bands walking this planet. Starting point was the album Through The Ides Of March, which was recorded in two days and produced by the legendary Steve Albini, who later took the band to Europe to open a string of shows for Shellac. 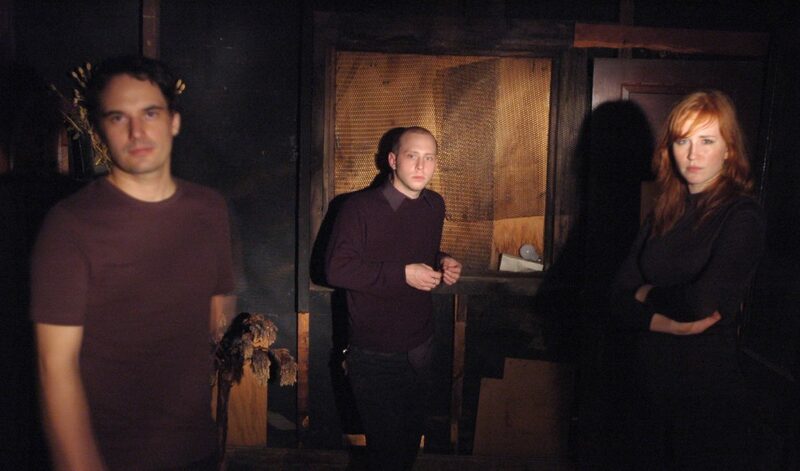 The album earned comparisons to art rock bands such as Sigur Ros and Mogwai, and also garnered them a performance slot at Europe’s All Tomorrow”s Parties festival in 2004. The band’s second album As The Bluebird Sings saw them further expanding their experimental sound and covering Dylan’s “The Times They Are A-Changin”. Produced by Tom Herbers (Low, Soul Asylum, The Jayhawks, Victoria Williams), the album was released in the spring of 2006. The recordings drew the attention of M. Night Shyamalan, who featured music by the band in his film Lady In The Water. In 2007 the band had expanded, developed and progressed their sound. Also produced by long-time friend Steve Albini, the album brought the band to Exile On Mainstream Records. Two massive European tours and appearance on the label’s own roadshow, the mighty Blisstrain saw them gaining serious attention from European crowds. The album got voted Album of the Month in Germany’s leading Alternative music magazine VISIONS and remains the highest selling release to date on the label. 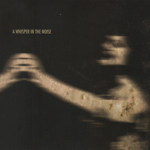 Demons overtaken, West Thordson spent the following years after the release of “Dry Land” by finding balance creating music, while the other members of AWITN went on to forma short-lived project called WIVE. He moved out of the old school house and cultivated an old, deserted farm house that he turned into a living place and studio. 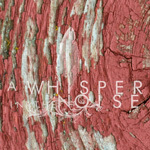 A new A WHISPER IN THE NOISE was born and future created by cutting ropes with the past. West teamed up with seminal violinist Sonja Larson, who has been part of an earlier AWITN incarnation before during the years of 2003-2006 and future started to shape up. 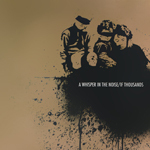 Alongside, creating music for movies and films, among them such renowned projects like the soundtrack for “The Art Of The Steal”, an award-winning documentary that follows the struggle for control of Dr. Albert C. Barnes’ 25 billion dollar collection of modern and post-impressionist art by Don Argott, West kept busy with creating what eventually became a new A WHISPER IN THE NOISE album. He abandoned the idea of getting a drummer involved and taught himself playing drums and recorded the tracks without an engineer or producer, mixing the album himself and having it mastered by Exile On Mainstream’s own mastering guru Stefan Brüggemann (Ostinato, Beehoover, The Antikaroshi, Wino a.o.). Sonja Larson became an integral part in the creational process. Following the approach to songwriting with a somewhat field-inspiring attitude that takes influences not only from music but nature, its power and sounds. AWITN let sound overtake the talking instead of trying to picture feelings through sound. This might sound academic but just go and listen yourself: try to picture yourself walking a wide field or meadow in late summer and not only listen to the insect sounds and the wind moving the grass but also what’s underneath these sounds: a certain power of nature to prevail the inner struggles of one’s self.